Woodsong has 117 full hook-up sites that are leased on a seasonal basis. We offer a five month lease from May 1st to October 1st. 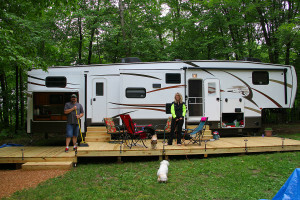 Woodsong has 17 RV sites for use on a weekend and daily basis. 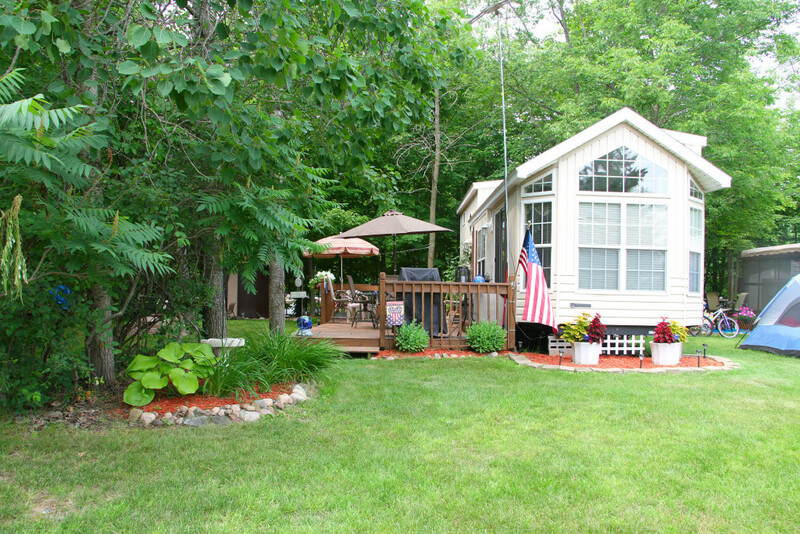 There is a large shaded area next to the pool and the bath house that works well for large family camping. Woodsong is a 42 acre RV resort in central Minnesota providing 117 seasonal RV site and 17 weekend RV sites. We have a refreshing pool, awesome hot tub, life-size chess/checkers and the most authentic campfire smell anywhere! Woodsong has 117 full hook-up sites that are used on a seasonal basis. 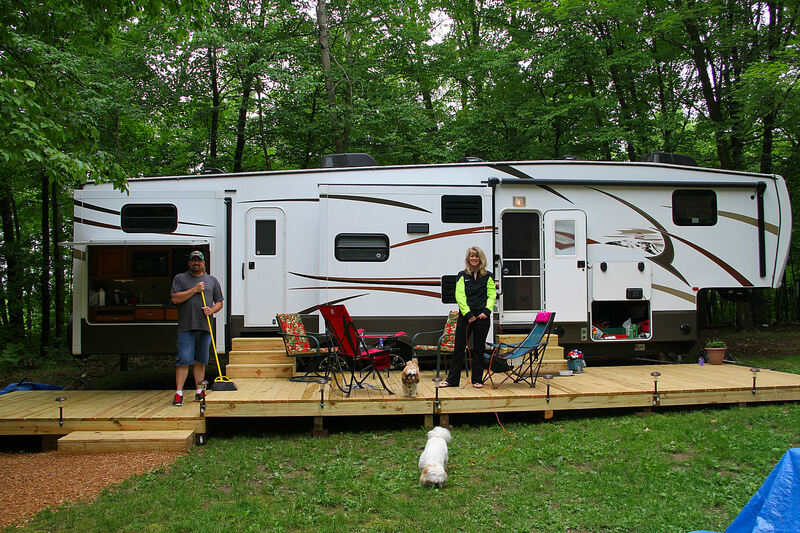 Woodsong has 17 RV sites for use on a weekend and daily basis. Woodsong RV Resort is a quiet, well-landscaped and family-oriented campground nestled in the heart of the Ann Lake Wildlife Management Area. 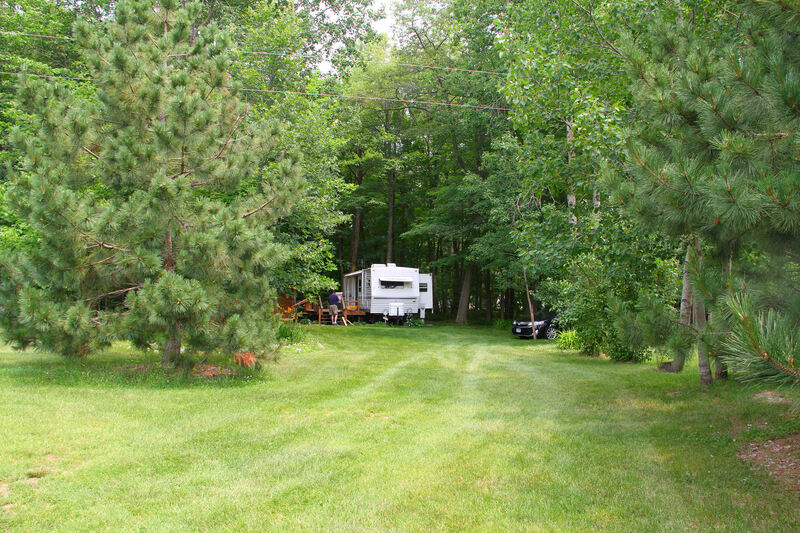 A 42 acre park, Woodsong RV Resort is conveniently located only 75 minutes north of the Twin Cities and less than 60 minutes from St. Cloud, MN. 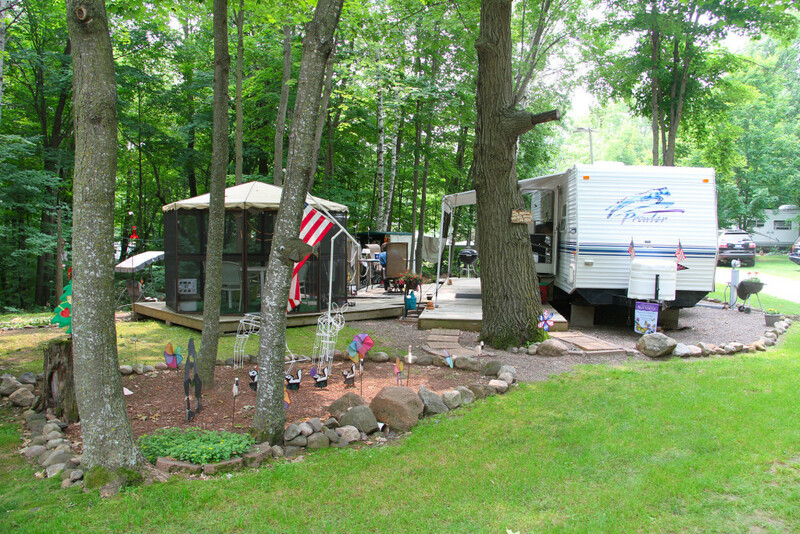 Providing 117 seasonal sites and 17 weekend sites it’s the perfect place for a family getaway. At Woodsong we believe the best times are those spent around family and friends. Ann Lake and the public boat launch are just a short hike down the hill; the swimming pool and hot tub are perfect places to relax during the summer. 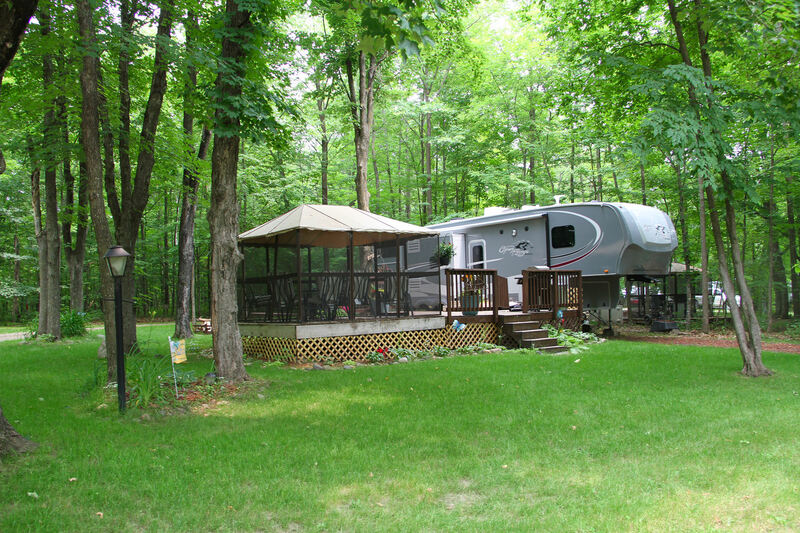 Gated access and 5 mph speed limit provides security and peace of mind for everyone at the park. We’d love for you to experience Woodsong, either on a nightly basis or for the whole season! We have been seasonals since 1990 and full time since 2007. It is peaceful, friendly and we enjoy coming back each year for the summer. The owners are wonderful and fun and we enjoy their children. Owners are very personable, caring and understanding. 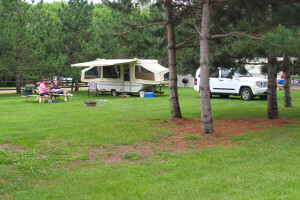 The lots are a good size, quiet and peaceful nights and there are lots of kids. Woodsong is definitely the place to be...from the beautiful park to the wonderful owners. You won't be disappointed. Everything at Woodsong is GREAT!! Starting with the owners - they are very friendly and accommodating. The food is excellent at the restaurant. The owners are very family oriented and work together well to make our time there most enjoyable. We will keep coming back for as long as we can. It is our second home. 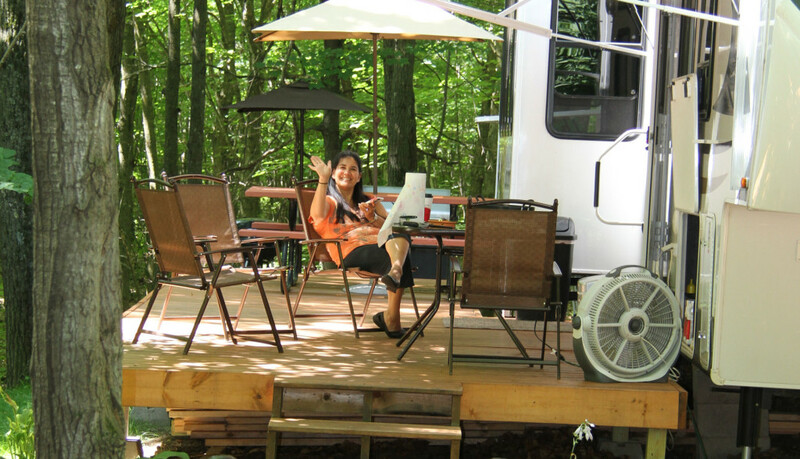 We love our summers at Woodsong RV Resort. We have been seasonal residents since 2008. Prior to that we pulled a camper around and only got out 2 or 3 times a summer. Now being at Woodsong we camp just about every weekend! 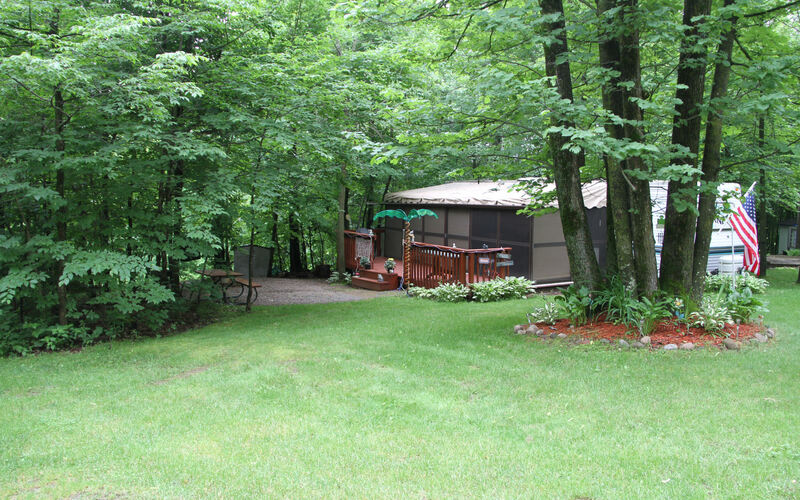 Woodsong is a 42 acre gated RV resort five miles north of Ogilvie, Minnesota. The resort is bordered by Ann Lake and the Ann Lake Wildlife Management Area.